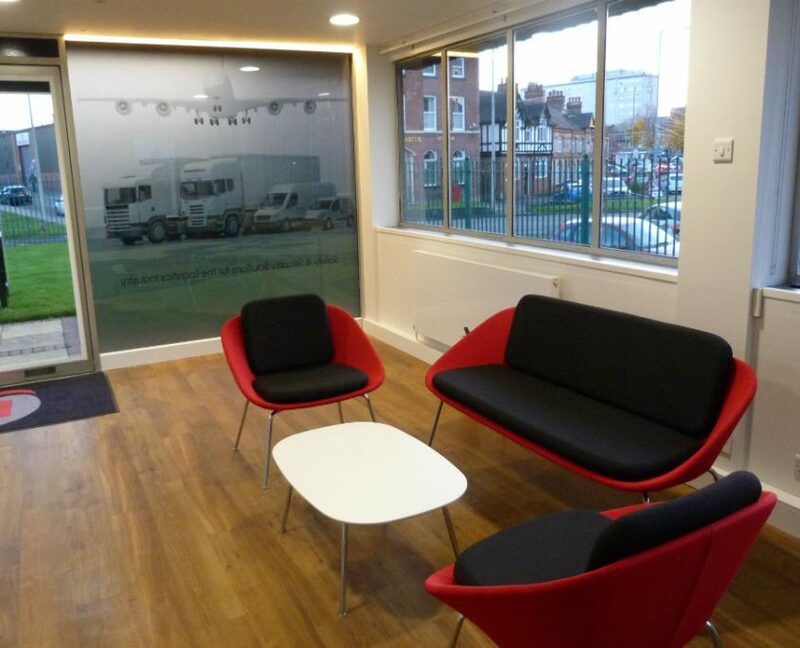 Maple Fleet Services came to us looking for a fresh look in their offices. 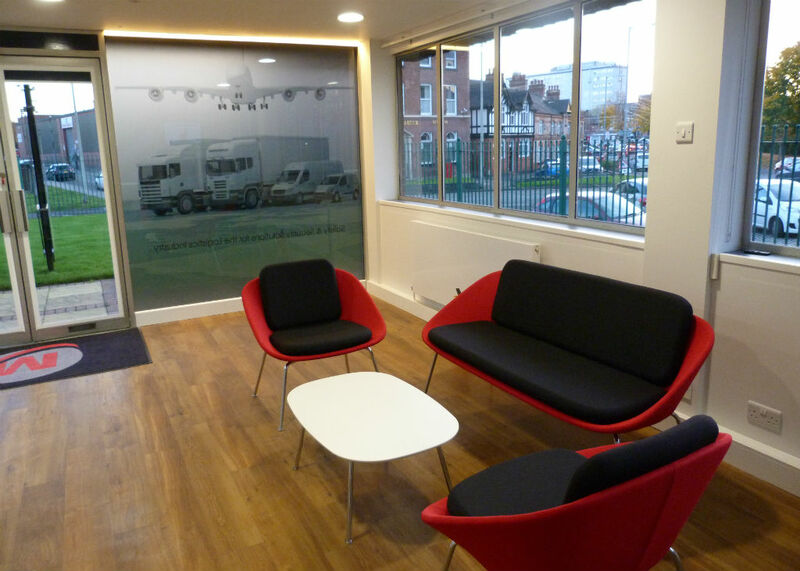 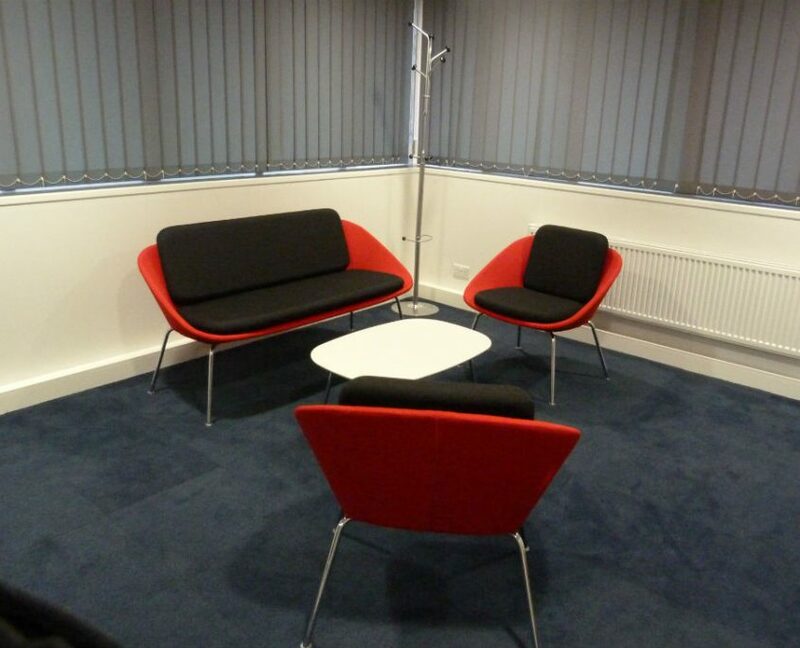 With the help of looking around our office furniture showroom, we managed to choose some reception seating, boardroom furniture and breakout area furniture. 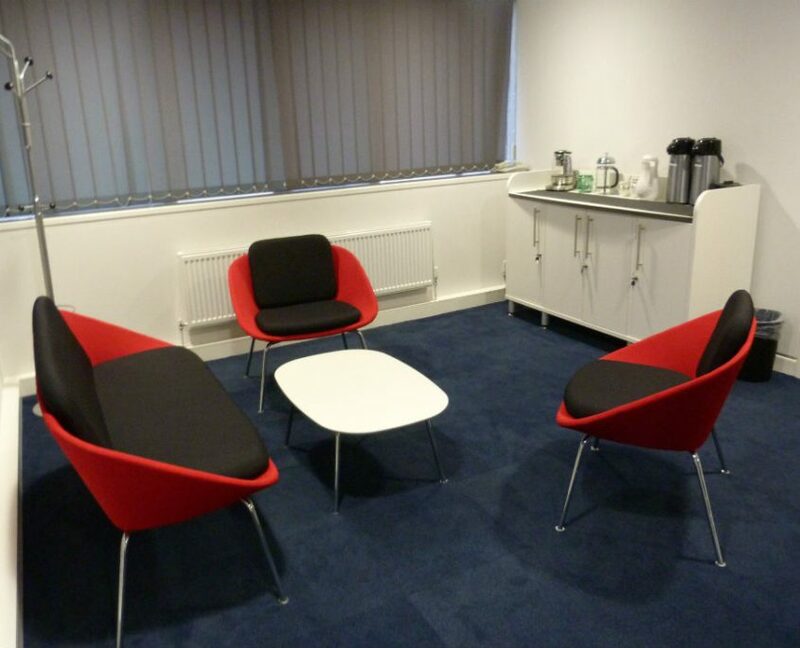 In the reception we used a red and black (to match their company colours) dishy sofa with two dishy chairs and matching dishy coffee table in white, all with chrome legs. 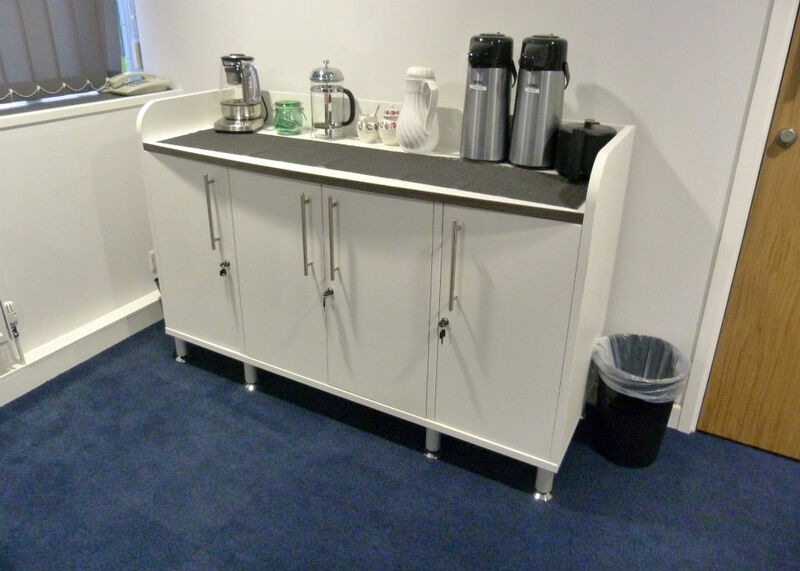 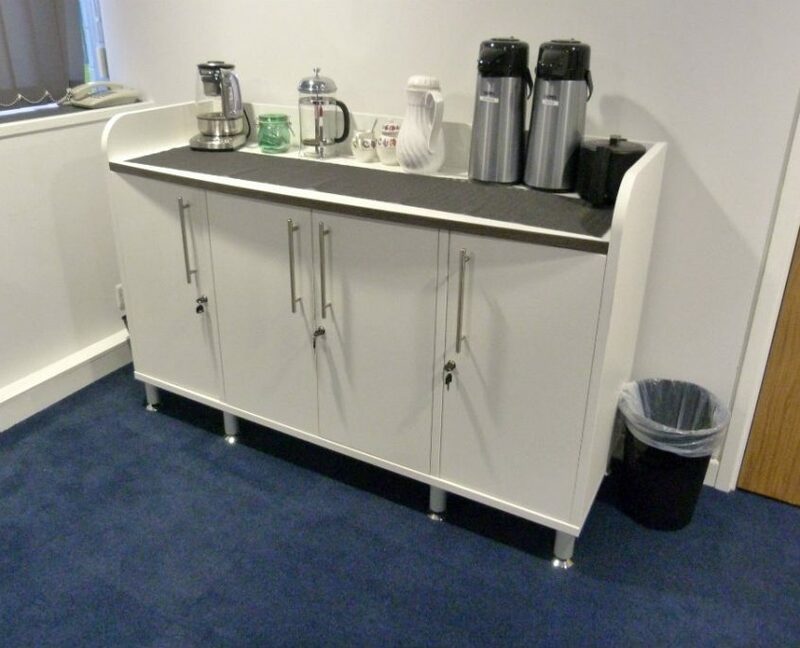 We also used the same for the breakout area, adding to that a reunion white credenza unit with an anthracite trim at the front, this being used for coffee and tea making and also it includes a fridge inside. 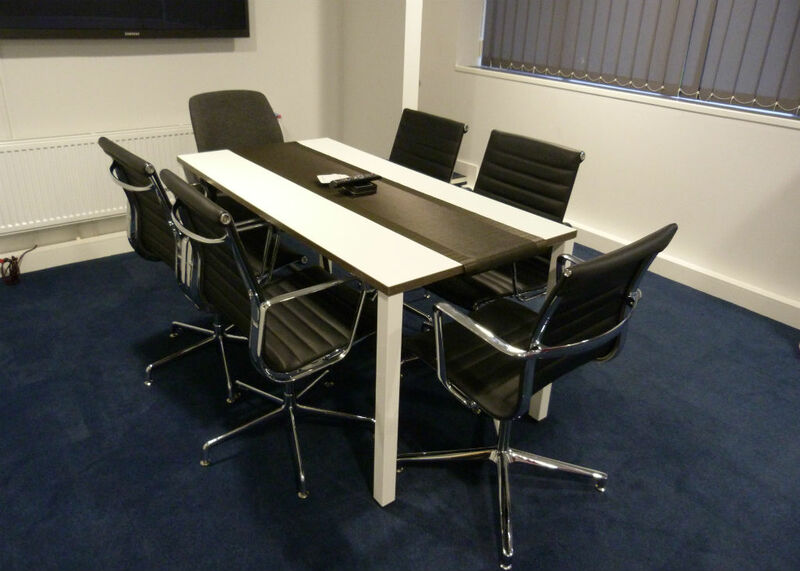 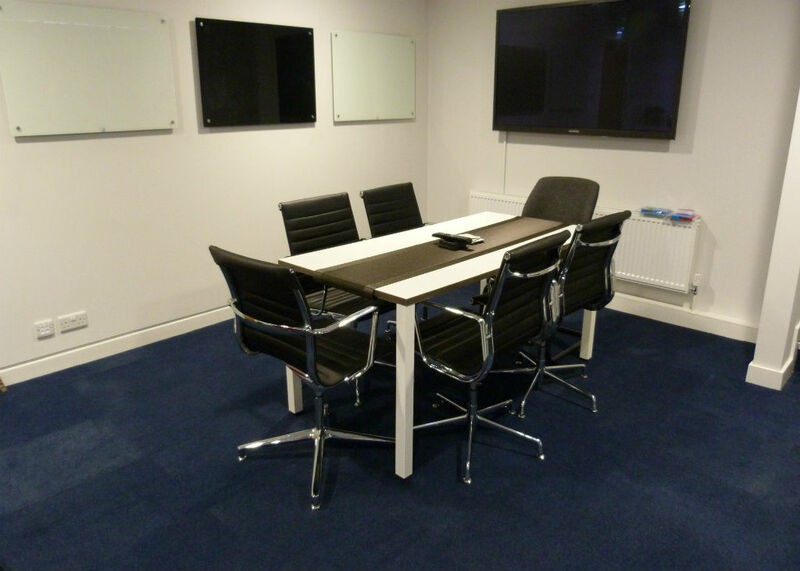 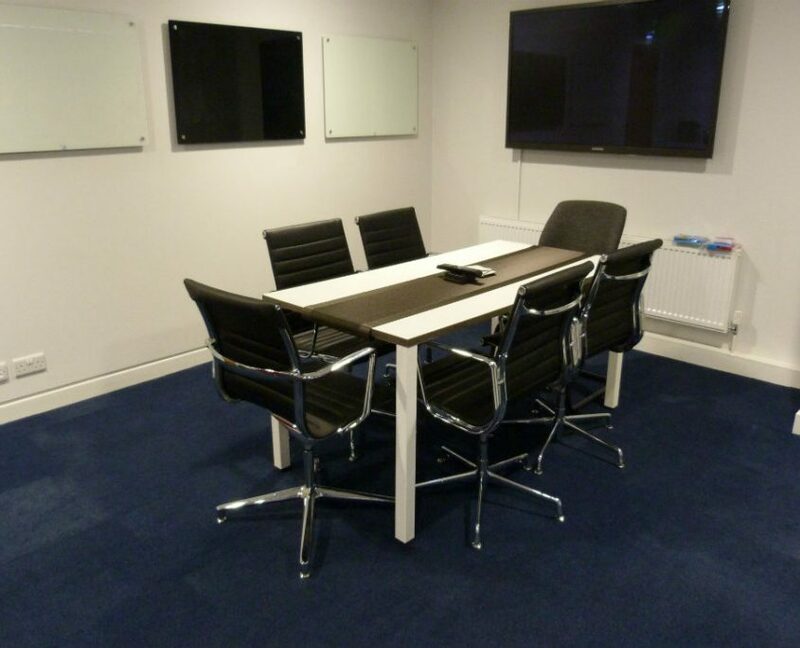 In the boardroom we supplied a white pure meeting table with anthracite trim. 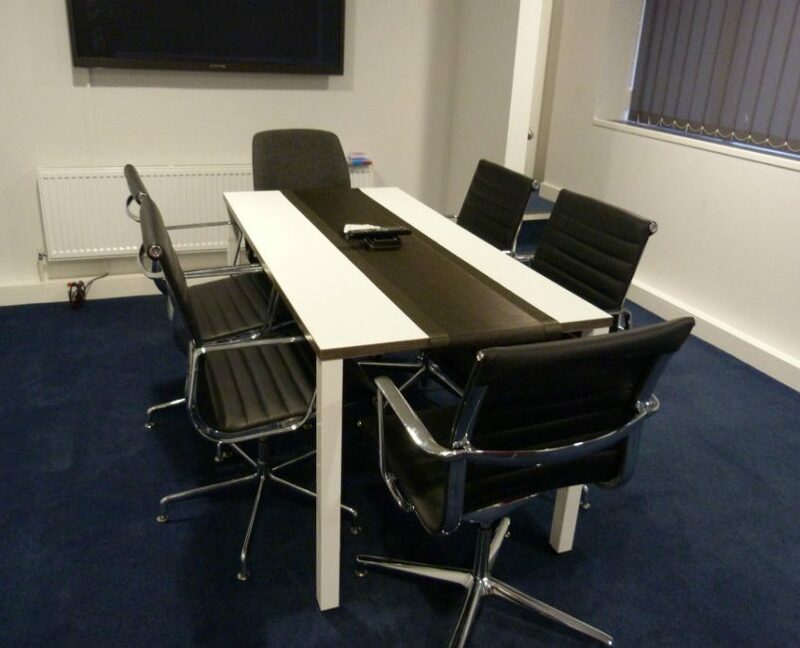 The chairs are a black vinyl chair with chrome frame and spider base. 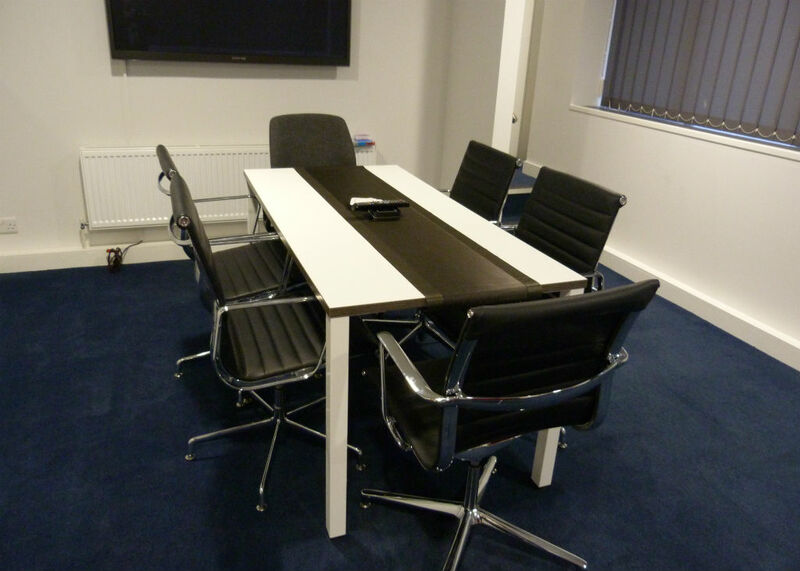 Our managing director Bev Mercer worked on this office furniture project and helped choose the boardroom and reception furniture. 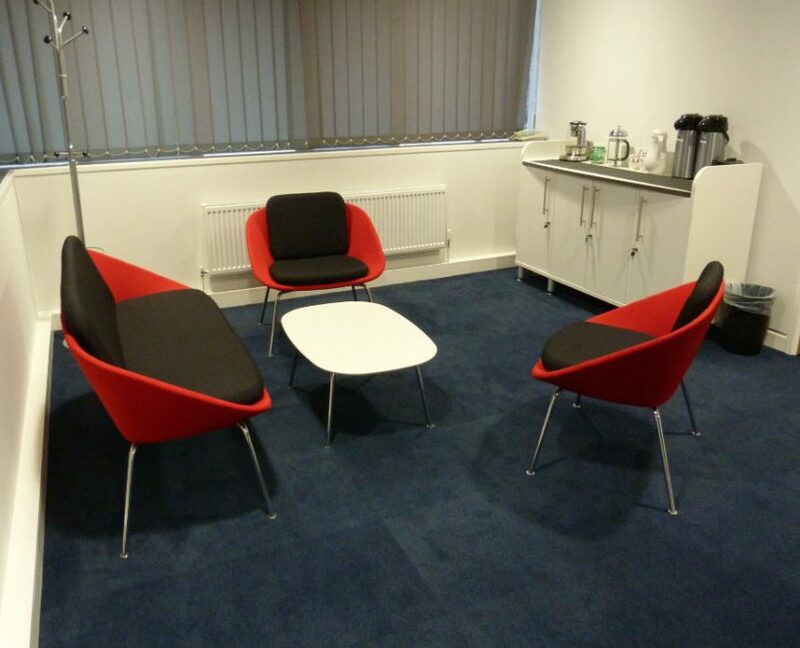 Bev is based in Bury, Manchester and surrounding areas. 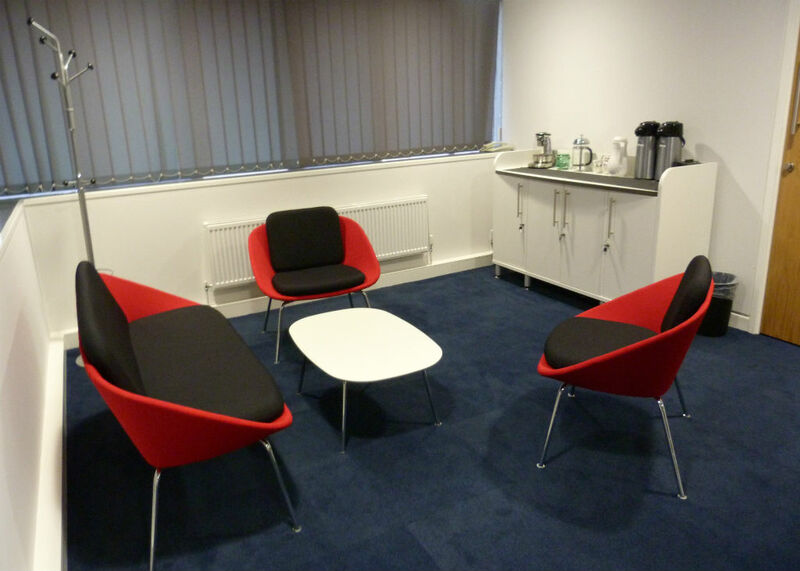 She can come and see you to help with your office furniture project giving one-to-one support and guidance throughout. 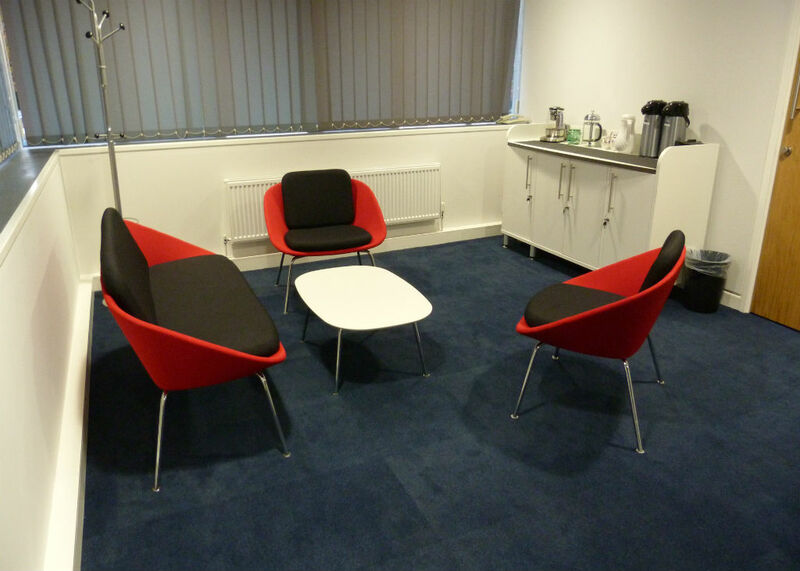 We offer free interior design and space planning when working on your office furniture project. 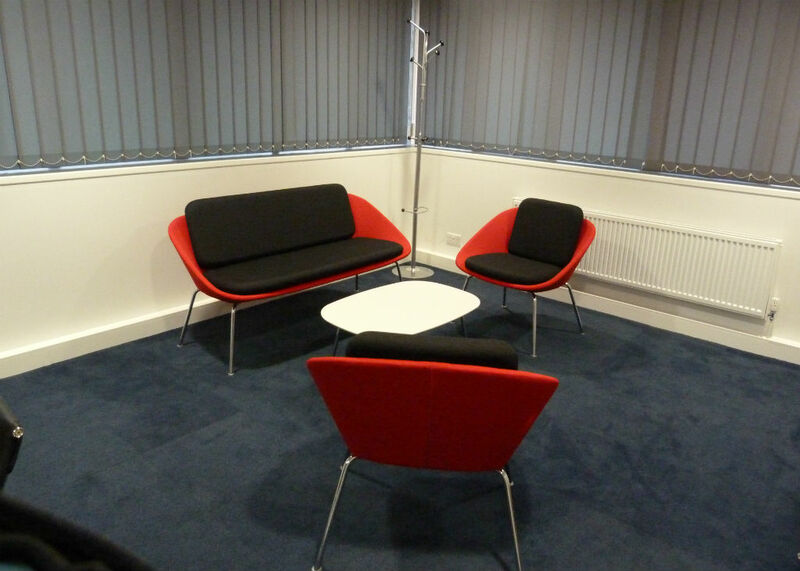 This also includes free cad drawings to visualise your space with the office furniture in. 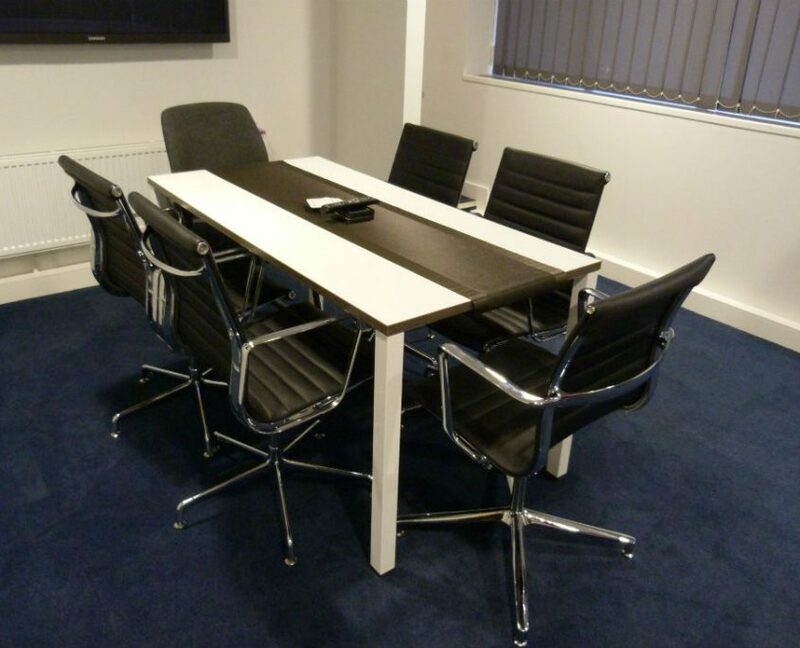 Once you have chosen your lovely office furniture we also offer free delivery & installation of all the furniture at a time that is suitable for you.